TSI is a non-profit organization based in Quepos/Manuel Antonio. Their mission is to enhance the well-being and conservation of wild and captive sloths through research and education. They are also dedicated to collaborating with other sloth rehabilitation and release programs. 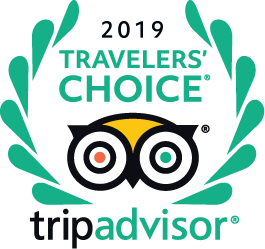 In June of 2015, the Board of Directors of Tulemar announced a partnership between Tulemar and The Sloth Institute Costa Rica (TSI). The first phase of the partnership has been dedicated to the release of sloths, orphaned and hand raised, back into the rainforest in the maritime zone adjoining Tulemar. 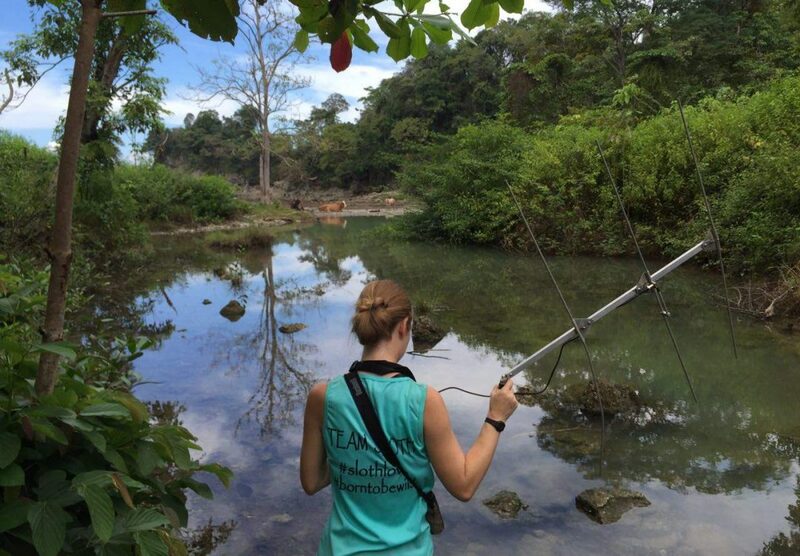 TSI is also tracking and observing wild sloths on the grounds to learn more about sloth ecology to help with the conservation of sloth species. 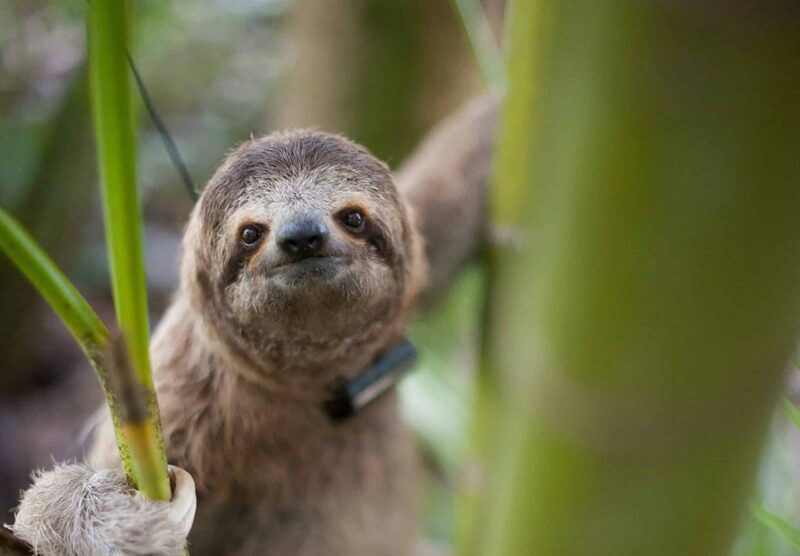 “Tulemar and the maritime zone offer the perfect environment to introduce the first two sloths, Ellen and Kermie back to their rainforest roots, where they belong. The resort sits in a large parcel of jungle including the adjacent maritime zone, containing an abundant source of excellent food choices, a significant wild sloth population, the absence of dangerous electrical wires, a strict “no dogs and cats” policy and with the Tulemar’s commitment to dedicate this land for the preservation of the sloths, choosing Tulemar for this endeavor was a no-brainer”, said Seda Sejud, co-founder and Chief Sloth Ambassador of The Sloth Institute. 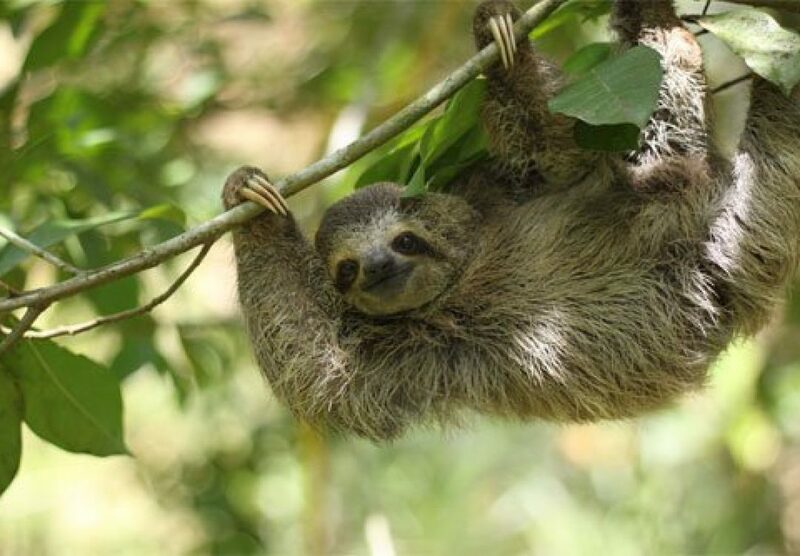 “We are so pleased to be a part of this exciting release project and with the approval of MINAE, (the governmental agency responsible for the maritime zone and wildlife) to use the maritime property in a way that helps contribute to the conservation of the sloth population in Costa Rica”, said Dave Houck, board member and resident of Tulemar. Tulemar’s board approved a plan to provide funds for the building of the pre-release cage and temporary housing for the researchers. Symbolically “Adopt-a-Sloth” to help send sloths back home and to keep the wild sloths back in the rainforest! 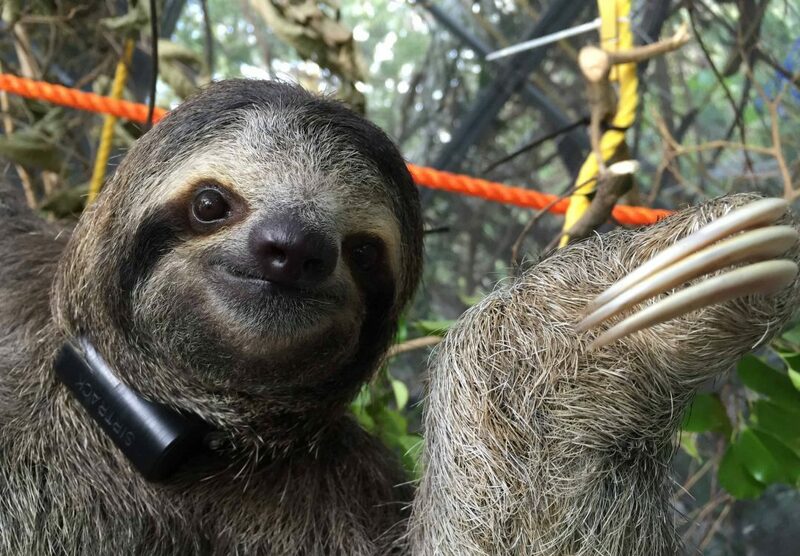 The Sloth Institute’s release facility at Tulemar is not open to the public, due to the nature of the program. Human contact must be restricted to TSI staff only to encourage the sloths to return to their natural habitat. While this isn’t a “swim with the sloths” type of program, it will certainly increase the sloth population and visibility inside of Tulemar. Guests and residents of Tulemar will probably see TSI staff wandering the trails and pathways looking for sloths or studying them. Please feel free to ask them about the sloths and the program. 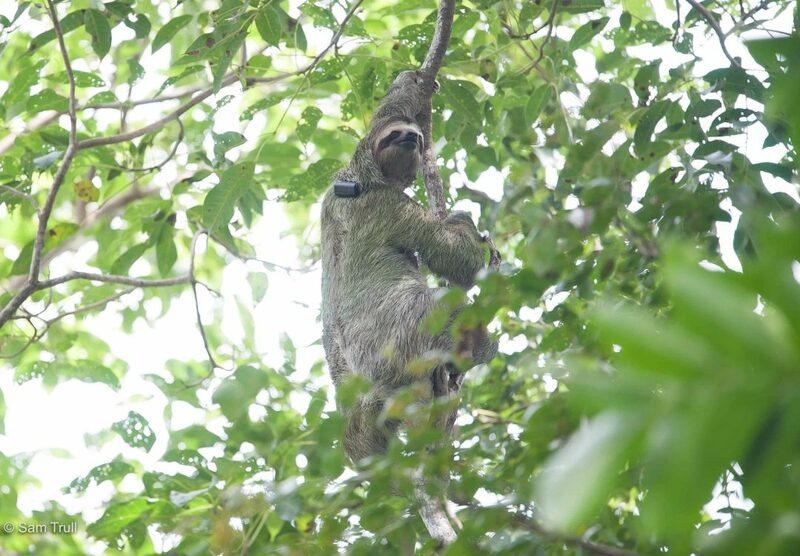 The hand-raised sloths are fitted with custom made VHF collars to allow for tracking once released. They begin their re-entry into the jungle in a specially designed 6 by 6 by 6 meter non-permanent soft release cage built to encompass a variety of their favorite edible trees and vines so they can gradually acclimate to their new environment. Once ready to begin their release, the cage door is opened allowing them to come in and out until they feel comfortable living completely outside of the cage. The cage was built in a secluded section of the maritime zone where humans are not allowed. Once released, TSI’s volunteer research team, track the sloths daily over the course of at least 2 years to document their progress while also simultaneously tracking and studying the wild sloths in Tulemar for comparison. Additionally, Tulemar is working with MINAE for approval to build a permanent research station in the same area for TSI and its future programs. TSI is also providing Tulemar home owners and guests educational projects and seminars. 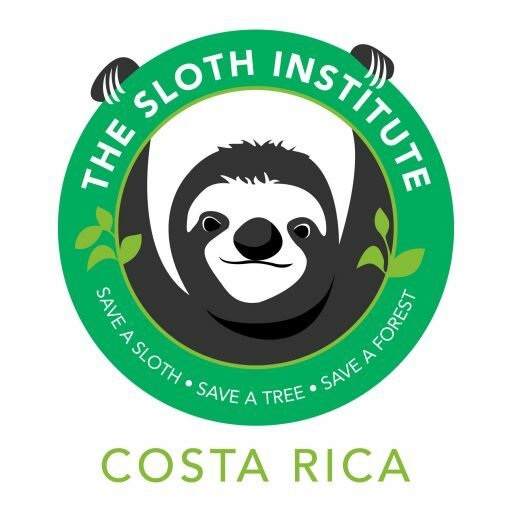 Educational information about the sloths, The Sloth Institute and its programs and how homeowners and guests can help is available in Tulemar or at theslothinstitutecostarica.org.